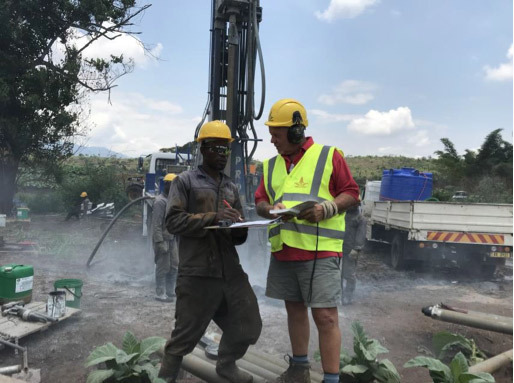 Our CEO recently visited Blantyre in Malawi where he worked with a drilling company in Malawi to help instruct their field personnel on efficient procedures for constructing large diameter and deep wells using their new equipment. 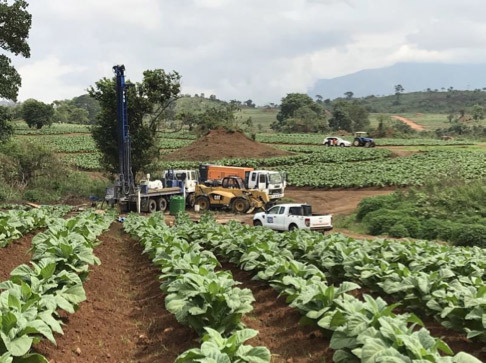 The company based in Thondwe were looking at a proposed Macademia Plantation and needed to establish the quantities of groundwater available. The actual works carried out incorporated the drilling of 6 water wells totalling approximately 700mtr of drilling. The first ‘test borehole’ was drilled in Blantyre to trial the new equipment and iron out any teething issues before moving to the remote farm location. 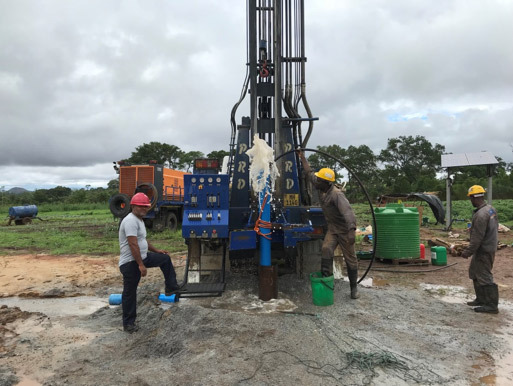 Once on the farm a further five boreholes were drilled at locations selected by specialist Geophysical Contractors. 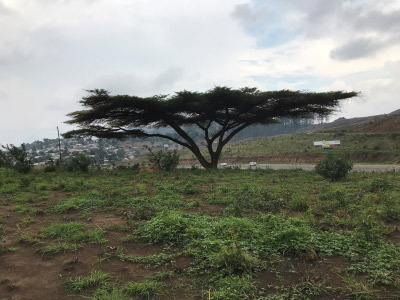 A test borehole was drilled next to this magnificent tree. Nthethe Tree. Once on the farm almost 60 Km from the test site the rigs were set up. The superficial deposits were drilled at 143/4” (375mm) diameter and cased with 9mtr of 12” (300mm) temporary casing. 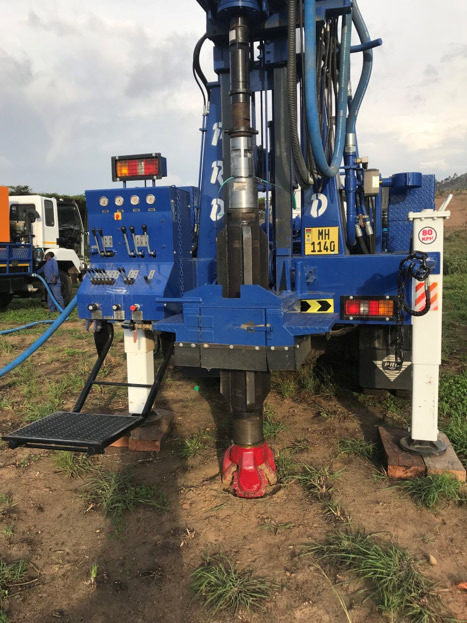 The remainder of the borehole was drilled at 10” (250mm) diameter using a down the hole hammer. It was terminated at 81.6mtr and yielded around 3600lt/hr. The borehole was installed throughout with 160mm UPVC casing and screen. Special centralisers were produced by OG Plastics and fitted strategically throughout the installed casing. Filter sand was sieved, screened and washed before being installed appropriately into the annulus of the borehole. A cement sand mix was placed into the top 10mtr of the annulus. The borehole was then air-lifted until water being produced was clear of drilling debris. 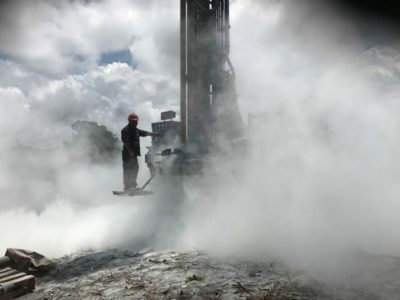 The first borehole was drilled directly into bedrock with only 1.5mtr of temporary casing. It was drilled at 61/2” (150mm) diameter to 206mtr. The borehole was dry other than a few very minor water strikes that dried up during drilling. This borehole was drilled in 3 days with around half a day lost due to mobilising to the wrong position and heavy thunderstorms and rain. This borehole was drilled to 101mtr at 61/2” diameter. Superficial were drilled at 10” diameter and 8” casing installed to 4.5mtr. 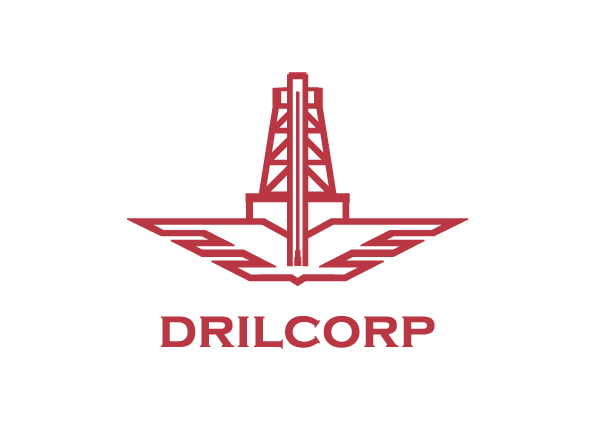 Only slight groundwater found and dried up during subsequent drilling. 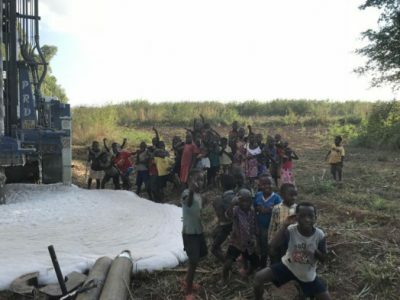 This borehole was completed in one day. This borehole was drilled to 121mtr at 61/2” diameter. 8” temporary casing was installed to 30mtr. There were some minor groundwater strikes but the final yield was 600lt/hr. 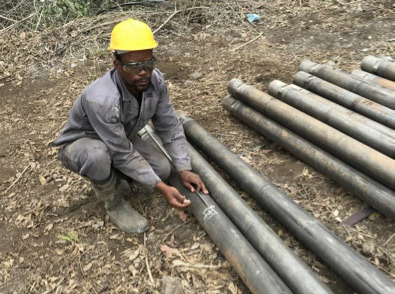 Plastic casing was installed to 30mtr to enable subsequent borehole logging. 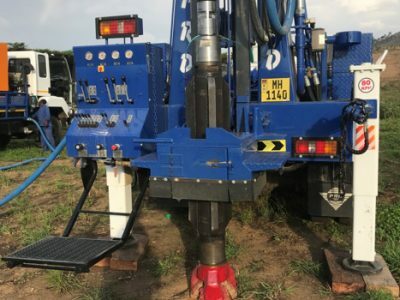 The borehole took 2.5 days to complete partially due to the fact that the winch was not working correctly and could not handle the casing which had to be run and pulled using chains tied to the bottom of the drill head. The Village children came to see the drilling taking place after school fascinated by the drill foam used to stablise the borehole during installation of temporary casing. This borehole was drilled to 86mtr at 81/2” diameter. Superficial deposits were drilled at 131/2” diameter and 10” temporary casing was installed to 16.5mtr. The borehole yielded 8600lt/hr groundwater. The borehole was installed with 61/2” PVC casing and screen and developed until the airlifted water was clean. The rig and all equipment now demobilised. 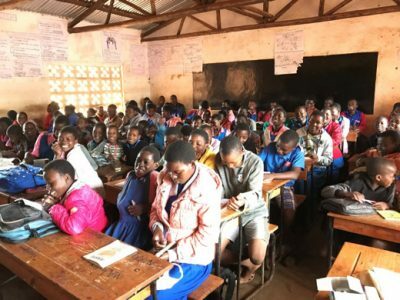 Malawi School Children enjoy their lesson and our Drilcorp Pens.